Prior to the 21st century, online casino gambling was in its infancy compared to the worldwide phenomenon that the activity has become in recent years, and South Africa is no exception to the trend. Now, finding an online casino where you can legally play is no longer a problem. But instead, South African players are faced with a new problem: narrowing down the many choices to the best of the bunch. Roulette has long been a popular game at South African land-based casinos, so leading online casinos have taken note. In fact, they have made their online roulette options so varied and exciting, you won't even want to travel to a brick and mortar casino to play. Virtually all online casinos that are not for slots only offer basic roulette, but if you are a true roulette aficionado, that doesn't even begin to cover the many different ways you can play this game. Casino.com is an online casino that caters to discriminating South African roulette players like you. Once you get to experience for yourself all that Casino.com has to offer, you may not want to play roulette anywhere else! 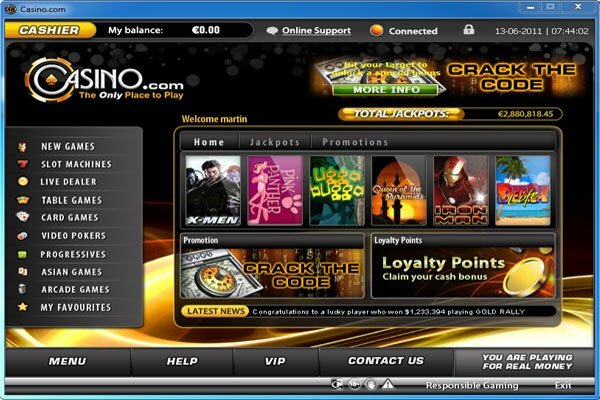 Casino.com has been operating successfully online since 2008. It is owned and operated by ONISAC, ltd. and is part of the highly regarded Mansion Group of casinos. Casino.com is licensed in Gibraltar. While Casino.com, with 250+ games, is not by online casino standards a huge casino, it is nevertheless a global brand, enjoyed by gamblers from 189 countries all over the world. Players from South Africa are joined by others from Europe, South America, Asia, Canada, and Australia. For your convenience, ZAR is accepted as currency for your deposits to your account. However, bonuses are paid in U.S. dollars. Unfortunately, no one from the U.S. can play. As a new player, you receive a generous Welcome Bonus consisting of 100% of your first deposit, up to $400. There is a 40x bonus playthrough requirement for withdrawal, which you will probably have to meet by playing slots. Unfortunately, roulette does not count at all in meeting the wagering requirements for the Welcome Bonus. Casino.com is powered by state-of-the-art software from Playtech, a leading provider for online casinos all over the world. What makes Playtech software superior to much of the competition is not only the exceptional quality of the graphics, sounds, and animations, but the tremendous variety of games. 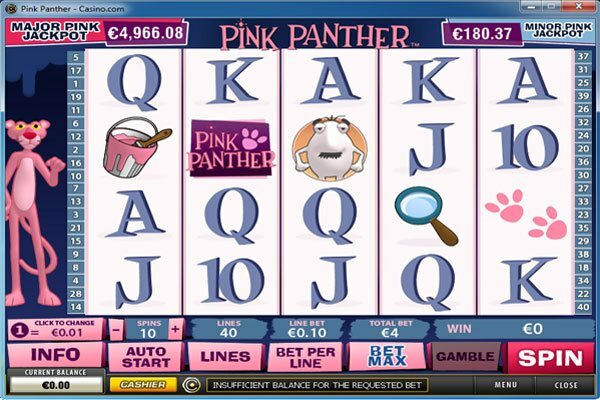 Since Playtech continually updates its software to reflect the latest in cutting edge online casino technology, Casino.com players get to enjoy the results. Downloading the user friendly software onto your computer is so quick and easy, within minutes you should be able to play any game of your choosing. Or, if you prefer, a no download instant play flash version is also available, which is both PC and mac compatible and will work on any browser. Your third option is to play select Casino.com games anytime, anywhere on your mobile device. While you are doing so, you can also take advantage of the latest special promotions available to mobile players exclusively. Casino.com doesn't overwhelm you with so many games that you won't have time to consider and sort out half of them. Instead, it limits the number to a still more than adequate 250+. In other words, there is clearly enough variety to meet most players' needs and keep you from getting bored, but at the same, it won't take an eternity either to find what you want to play. If you would like to practice a bit before you start playing for real money, or if you can't make up your mind what to play, at Casino.com that is no problem at all. Many of the games can be played for free, including all of the roulette games except live dealer roulette. There is even a special page on the website containing a Guide to Roulette, where you can review all of the rules of the game and different types of bets permitted. Most of the roulette games at Casino.com use just a single zero wheel, which means better odds for the player. However, regardless of what game you play, you don't have to worry because all of the games have been independently certified for fairness by Technical Systems Testing. According to TST, the random number generators (RNGs) used by Casino.com are fair and random. This reviewer would still like to see actual verification on the website of recently determined average payouts for all games combined. Of course, the statistical probabilities for roulette have already been determined: American roulette, with both a double and single zero has a 5.26 house edge, while European roulette and French roulette, both with just a single zero on the wheel, have a 2.73 and 1.35 house edge, respectively. Casino.com has all of these options and lets you choose which form of roulette you would like to play. If you play roulette often, you would be foolish to limit yourself to just American roulette with a double zero. While a 5.26 house edge might not seem like much, it is bigger than you will find on many other online games, slots included, and over the long run, it will add up. Fortunately, Casino.com offers 8 other ways to play roulette, all at better odds. Here they are: European Roulette, French Roulette, Premium Roulette European, Premium Roulette French, Premium Roulette Pro, Mini Roulette, 3-D Roulette, and Live Roulette. European and French roulette are both single zero only games. However, the house edge for French roulette drops from 2.73 to 1.35 because of the added la Partage rule. If you make an even money outside bet (e.g., red or black or odd or even) and the ball lands on zero, you get half of your bet returned to you. Premium European and French roulette are the same, respectively, as regular European and French roulette, except that instead of playing alone, these are multiplayer games and they may have a higher table minimum than other roulette games. These games appeal to VIP players who would like to play with others. The game called Premium Roulette Pro, besides offering superior graphics and realistic sounds, lets you request and receive back the stats on specific numbers so you can see if the results have followed any sort of pattern. Actually, in roulette (unless there is a wheel malfunction), each spin is completely independent and random, so this information should not make a difference, but it can't hurt either. Premium Roulette Pro can be played in either single player or multiplayer mode, as well as with private groups. Another popular option is Mini-Roulette. Besides the zero, the only numbers on the wheel are 1-13. If you bet on one of those numbers and that is where the ball lands, the payout is 13-1, not 35-1. Lastly, if you really want to step up your roulette play to a whole new level, you owe it to yourself to try 3-D roulette or live dealer roulette. 3-D roulette is played like regular European roulette, but the lifelike animations make it more like being in a real casino. Live dealer roulette is the ultimate experience any online player can hope for because you actually get to play with a real live dealer. In fact, instead of hitting the "spin button," you get to watch the dealer spin the wheel and pay the winners in real time. You can see what the other players at your table are betting and even talk to them and to the dealer, just like in a real casino. You may momentarily even think you are in a real casino because the experience will certainly seem like that is where you are. Clearly, Casino.com offers enough roulette variety for you to play a different format every day of the week if you want. But, as much as you may love the game of roulette, if you are like most gamblers, from time to time, you will want to play other casino games, too. As mentioned, roulette doesn't count at all towards meeting the playthrough requirements for withdrawal when you get your Welcome Bonus. Roulette also counts minimally, if at all, for meeting the wagering requirements associated with other bonuses you receive later. Slots do count 100%, so you will almost certain need to throw in some slot play if you want to get the full benefit of these bonuses. Slot play also earns loyalty points at a faster rate than roulette. 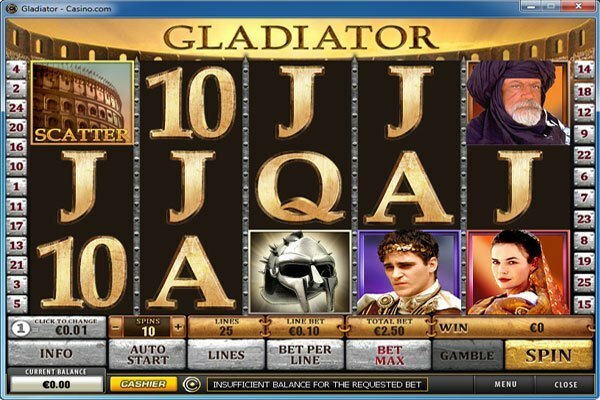 At Casino.com, you can choose from the simplest 3-reel slots with one payline only to thrilling 5-reel video slots with games within games and 50 or more paylines. Of you can play Marvel slots or progressive jackpot slots, where one lucky spin can be life changing. Video Poker and all of your favorite table games are available, too, including even more varieties of blackjack than you have with roulette. Also, roulette isn't the only game you can play with a live dealer. Casino.com offer live dealer blackjack, baccarat, and casino hold 'em, too. Just, as you might expect with a major online casino like Casino.com, as long as you keep playing, your rewards don't stop with the Welcome Bonus. The more you play, the more you will continue to be rewarded. For example, the casino offers Tuesday reload bonuses both as an extension of the Welcome Bonus for new players and every Tuesday thereafter for any player that makes the required Tuesday deposit and meets the other terms and conditions. The Tuesday bonuses, unfortunately, even though they have playthrough requirements, are play only; they are not withdrawable. Frequent players receive many other bonuses and benefits, including special promotions that change monthly like leaderboard races and drawings for trips, electronic gadgets, and other great prizes. Complete details regarding all of these offers and promotions are posted on the website. There is also a 4-tiered loyalty club. As you move up in level, you qualify for bigger and more frequent bonuses and other perks and privileges. It takes a lot of play to attain VIP status, but the status is permanent and entitles the player not only to the biggest bonuses, but to personal account manager, larger deposit and withdrawal limits, faster withdrawals, birthday and anniversary gifts, and invitations to exclusive events. Casino.com is still a fun place to play roulette and other games even if you are not a high roller. You will not be able to experience anywhere near the variety in a land-based casino in Africa, so we recommend you give this casino a try. Customer Support is available 24/7 via live chat, phone, or email to answer any questions or concerns you may have. 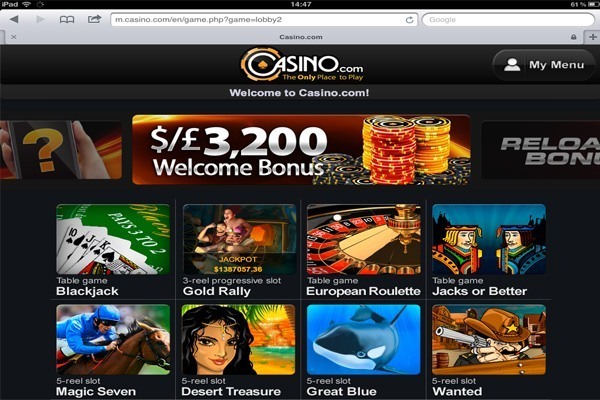 >> Click to Join Casino.com and Get Your Bonus!